In February 2017, British motorcycle manufacturer Hesketh launched the new Valiant SC Motorcycle. On the handlebars is a new SMITHS gauge designed and manufactured by CAI in the UK. 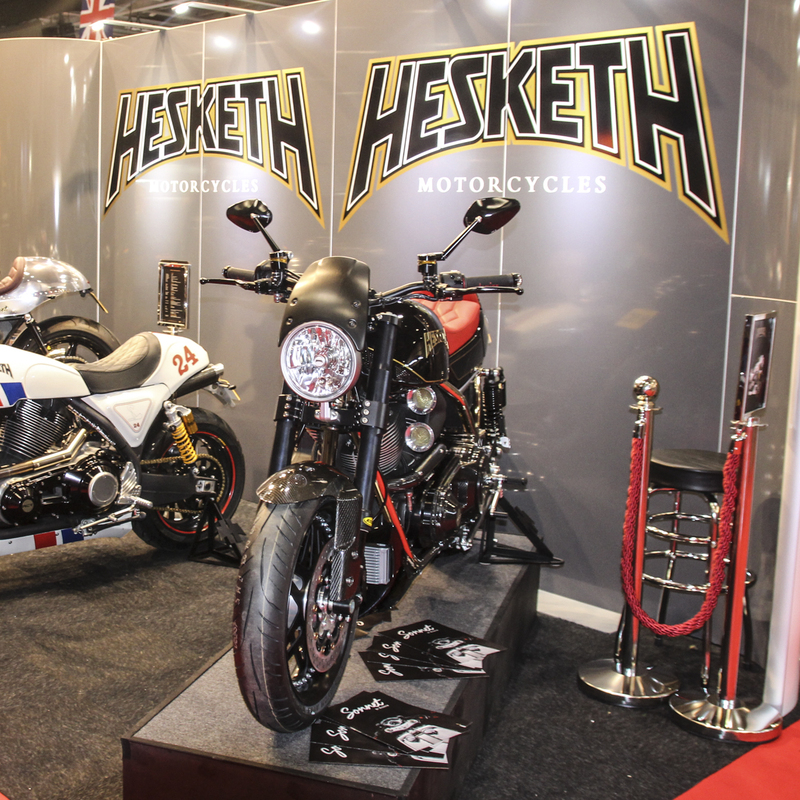 Founded in 1982, Hesketh specialise in the design and manufacture of hand-built luxury motorcycles. In 2014, the restructured Hesketh Motorcycles relaunched with the Hesketh 24 Motorbike, the first new model for 30 years. This was followed by the Sonnet Cafe Racer, which is expected to be available in the second half of 2017. The Supercharged Hesketh Valiant is their third motorcycle takes the brand to another level. It is reported that the motorcycle owes its name to a legendary high-altitude bomber. During the design phase, Hesketh made a decision to keep the new Valiant quintessentially British. Wherever possible, the engineering and parts were made and developed by UK based manufacturers including CAI. 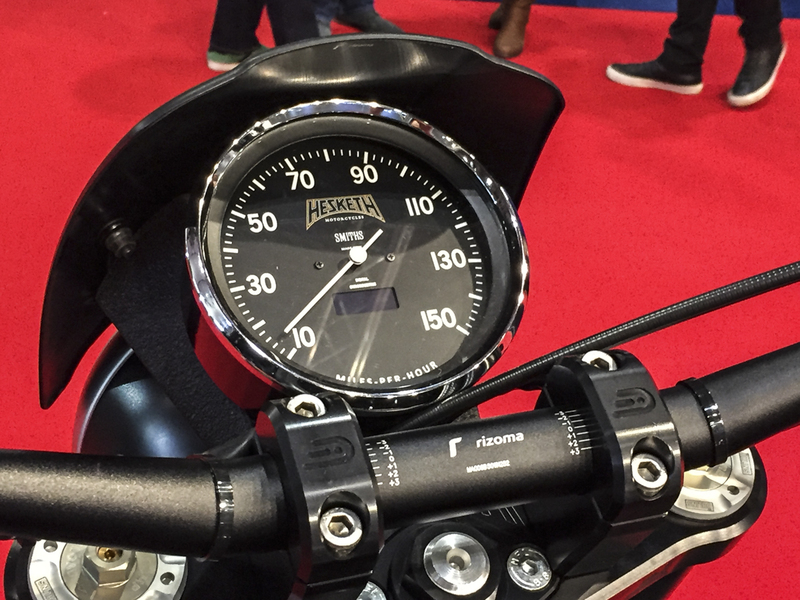 The SMITHS Speedometer is centrally mounted on the handlebars and features the Hesketh and SMITHS branding. The gauge is mounted in a waterproof billet case with a chrome finish. The face is black with white markings and an OLED mileage counter. The CAI design team made sure that the look specifically reflected and matched the style of the exciting new motorcycle. The Hesketh Valiant is supercharged, with a 2100cc engine generating 210bhp. The launch, at the Carole Nash MCN London Show in February 2017, was a huge success, exciting both luxury motorcycle enthusiasts and the industry press. The Hesketh Valiant Supercharged with be available in summer 2018 at a price of £50,000.